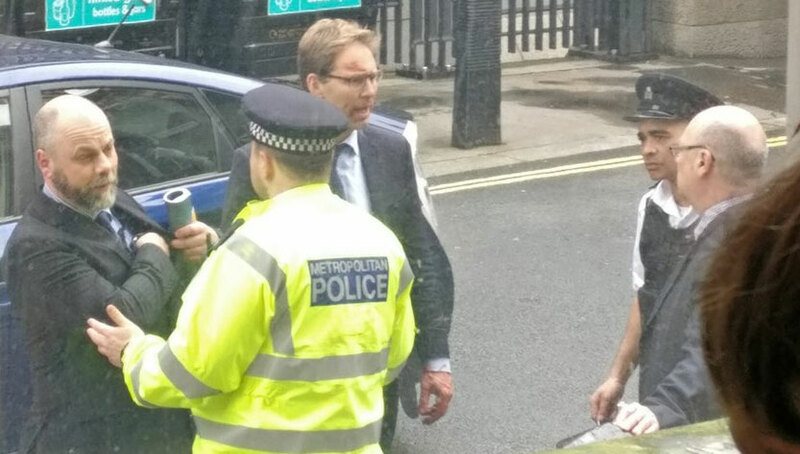 Foreign Office Minister Tobias Ellwood is being hailed as a hero after trying to save the life of the police officer stabbed in the Westminster terror attack. Mr Ellwood, a former soldier, ran to the officer when he was stabbed just inside the gates of Parliament. He gave him mouth-to-mouth resuscitation and stemmed the blood flow, before waiting with him until the air ambulance landed in Parliament Square. The police officer sadly died at the scene. He was later pictured with blood on his face as he spoke to emergency services. Mr Ellwood has been a Minister in the Foreign Office since July 2014. He is the MP for Bournemouth East. His brother was killed in the Bali bombings in 2002.